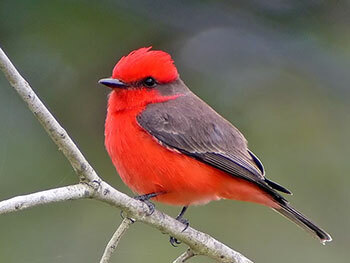 Evening bird classes taught by Joe Morlan and endorsed by Golden Gate Audubon Society will be starting March 13, 2019. Classes meet 7-9:15 p.m. in room 317 at City College of San Francisco, John Adams Center. Free parking is in the school lot adjacent to the building at 1860 Hayes Street. If the lot is full, additional parking may be available. See class calendars (links below) for details. 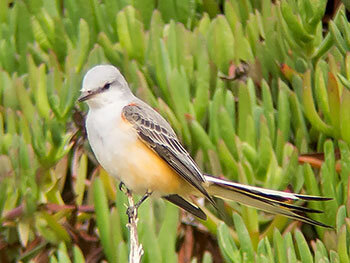 The instructor is coauthor of "Birds of San Francisco and the Bay Area" and "Birds of Northern California." He is also past chair of the California Bird Records Committee, and winner of the 2010 Ludlow Griscom Award for contributions to regional ornithology. Slides illustrate all lectures and the text is "A Field Guide to Birds of North America," seventh edition, by the National Geographic Society. "The Sibley Guide to Birds" is recommended as an adjunct text. Topics in Field Ornithology - Part A (EA110) meets on Wednesdays March 13 through April 17. It is an in-depth study of North American woodpeckers and flycatchers. Topics in Field Ornithology - Part B (EA115) meets on Wednesdays April 24 through May 22. It is a continuing in-depth study of North American flycatchers and shrikes. The instructor may arrange optional field trips on weekends. Please bring binoculars and field guides to class if you have them. Fees are $120 for each five week class but there is a $10 discount for each course if you register for both at the same time. For further information call (415) 561-1860. You can register online or mail or fax this registration form. Registration opens November 20th. For additional information see the official City College CCSF Extension site. Schedule and details for Fall 2018 are available here.